Do the police want to talk to you? You don't have to talk to them without your lawyer. You have the right to remain silent. You have the right to have your lawyer with you. If you are looking for a criminal defense lawyer, you, or somebody you care about, is in trouble. You have been arrested, or you expect to be, or the police want to talk to you. You may be feeling afraid or even hopeless. You are probably scared of what’s happening, confused about what to do, and worried about your future. You probably have questions. You want answers. We can help you. The Law Office of Jerome Paun can defend your rights to protect your freedom. We have effectively defended many clients over many years. You can read what some of them have said about us by clicking here. Compassion for you. Passion for our work. Attorney Jerome Paun is proud of his reputation as an effective criminal defense lawyer. He is honored to have been selected as one of the top 100 criminal defense attorneys in Connecticut by both the American Society of Legal Advocates and The National Trial Lawyers since 2014. 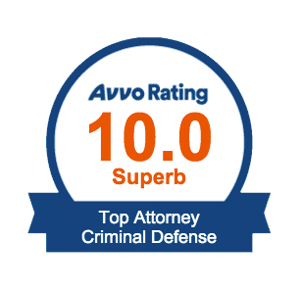 He is proud to have earned a "Superb" 10.0 rating as a top Connecticut criminal defense lawyer from Avvo and is pleased to have earned their "Clients' Choice" awards each year since 2013. We care about our clients. We care about getting the best possible results for them. We want to help you too! Turn to a Criminal Defense Attorney with Experience. Contact The Law Office of Jerome Paun for a Free Consultation. We defend adults and juveniles against all felony, misdemeanor, and motor vehicle charges in Connecticut courts. 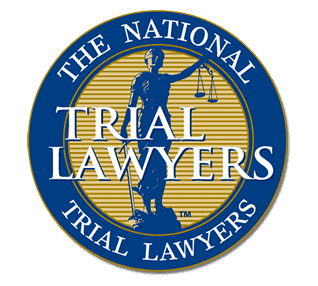 The National Trial Lawyers and American Society of Legal Advocates have recognized Attorney Jerome Paun as a Top 100 criminal defense attorney since 2014. All of our new clients are entitled to a free initial consultation. Connect with Our Firm Today.